People struggling with mental illnesses or addictions often require professional help and support. The cost of rehab in Australia or the UK can be prohibitively expensive, however, with a full course of treatment costing upwards of $60,000. Rehab Thailand costs are far more affordable than comparable services in Western countries, while still offering the same high quality care. Coming to Thailand for treatment also gives the added benefit of an authentic cultural experience in a beautiful tropical setting, letting clients recover nicely at a fraction of the price. At The Dawn, we offer a truly holistic rehab and wellness experience. Our calming sanctuary on the banks of the Ping River in rural Chiang Mai offers all the healing benefits of leading Western therapeutic innovations, accompanied by traditional Asian practices. With a variety of personalised treatments administered by our in-house medical and psychological experts, a stay at The Dawn can lead to a deep and lasting transformation in your health and wellbeing. Our costs are competitive with any of the top rehab centres in Thailand, and are far lower than the standard rates in comparable treatment centres in many other countries. We pride ourselves on being absolutely transparent about what our costs cover. What is Included in The Dawn Rehab Prices? The Dawn Rehab prices are all-inclusive and encompasses personal treatment, living quarters, cuisine, world class facilities and extra-curricular activities. Every one of these services is of the highest quality, and in combination they allow you to have a productive, pleasant, and transformative stay. The majority of our rehab Thailand costs go to staff salaries. Our English-speaking staff have all been educated and trained overseas, while maintaining a deep connection to traditional Thai practices. The Dawn’s treatment and recovery experts are at the heart of our practice, and their considerable skills and experience directly influence the success of your stay in rehab. Your treatment is the most important part of your stay, and includes many different treatment options that can be tailored to meet your specific needs. Two individual therapy sessions per week with a trained specialist will help you discover and treat any unresolved trauma, which is a hidden cause of many addictions and mental illnesses. Group therapy is also an invaluable component of recovery, as it allows you to connect meaningfully with other clients in a safe and supportive setting. Our holistic approach to treatment enhances the well-being of each client’s mental, spiritual, and physical state, by integrating refined wellness therapies into the programme. Mindfulness and meditation play a large role in psychological recovery at The Dawn, while art therapy helps clients channel and express their feelings productively. To promote physical well-being, we provide individual and group fitness training, two complimentary massages per week, yoga classes, and biking. Even after primary therapy has completed, our services and support continue. Relapse prevention will ensure that the gains you make are deep and lasting. If needed, we also offer couples and family therapy. Finally, our aftercare programme and additional relapse assurance guarantee can help you maintain and improve upon the gains you make at The Dawn. Thailand is world-renowned for its delicious and savoury cuisine. Each of our clients is provided with three meals per day. These include Thai and Western options, with vegan selections available, and a salad bar. At lunch, we serve smoothies, fresh juice and seasonal fresh fruit. We also provide snacks and bananas, sweet juices with ice, and, of course, drinking water all day. Our coffee and tea facilities are accessible at all times. We pick you up and drop you off at the airport, drive you to offsite Alcoholics Anonymous / Narcotics Anonymous meetings, and bring you out to enjoy a variety of excursions in the surrounding area. Our excursions and activities include elephant sanctuaries, jungle treks, zip lines, temple tours and kayaking. Entrance fees, lunch, and transport costs are all included in your treatment fees. Our facilities have been carefully designed to offer a fine balance between rehabilitation and wellness. Our clients enjoy a beautiful swimming pool with sunbathing beds, a health spa, a movie room with cable TV, a fitness area, a library stocked with books for all tastes and interests, a game room – and, finally, an alfresco dining area, where you can look out over the natural beauty of Northern Thailand. Naturally, you will have to cover your flights to Thailand and back to your home country, visa extension fees, and any transport not related to your stay at The Dawn. We also do not cover medication for detoxification, TMS therapy, additional medical purchases, acupuncture, or physiotherapy services. We do, however, offer physiotherapy services in-house at an additional cost. We also recommend that you plan for some extra expenses, which may include travel medical insurance, shopping, souvenirs, and international phone calls. As mentioned above, we offer two complimentary massages per week as part of your treatment plan – but you may want to indulge and get another for the reasonable price of 400 THB for a Thai massage, or 500 THB for an oil massage. Want to Know More About The Dawn Rehab Prices? 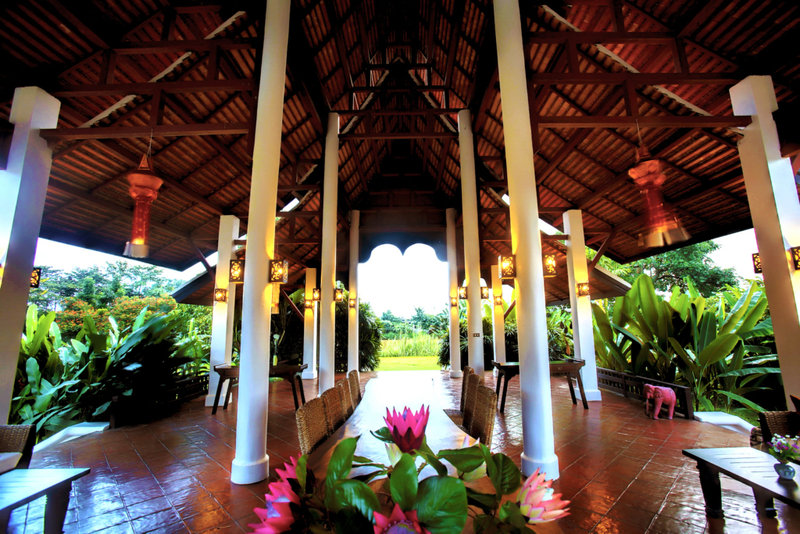 The Dawn Rehab Thailand offers the highest quality treatment for your journey towards recovery and wellness. Our inpatient rehab prices are much more affordable than any comparable centre in the West, but at the same excellent quality.